If you’ve missed any of my other Nursery DIYs, check those out HERE! 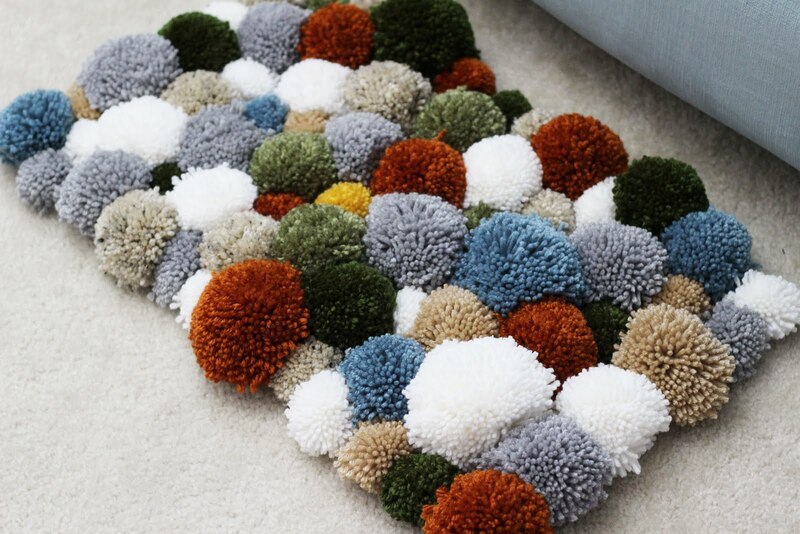 When I found this pom pom rug on Pinterest and immediately fell in love – I knew I had to make my own version! Here is the original post in German, but I got the idea by pictures! All in all, this Pinterest hack gets a thumbs up from me! It was simple and straightforward, without any hiccups along the way at all – when does that ever happen?? Doesn’t it look so cute in my little guy’s nursery? I think so too! 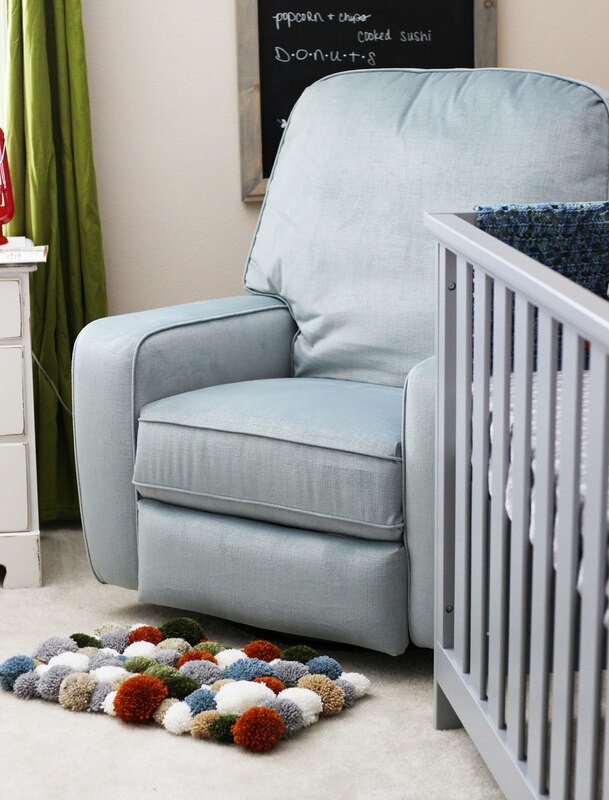 I’m sure he’ll love its fuzzy nature and I love the way it ties together all of the colors going on in the nursery already. 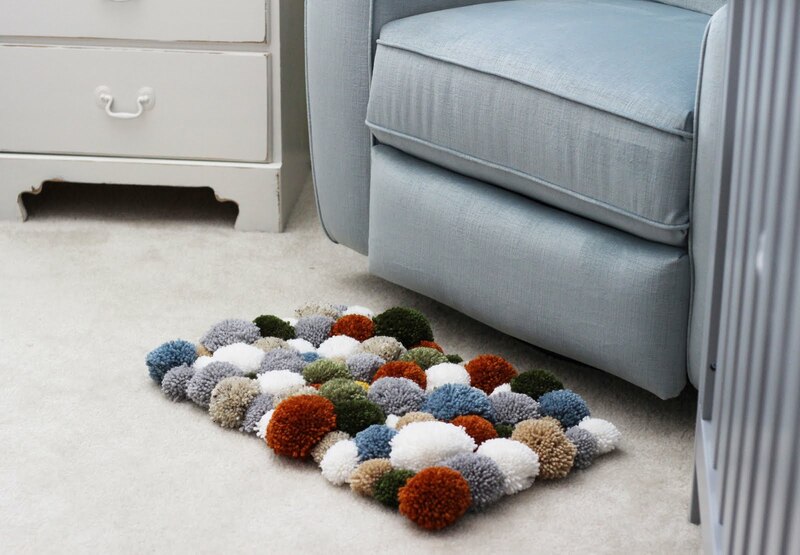 You’ll need some materials for this one that you may not already have lying around – like a latch hook rug grid. I picked one up for $1.50 and used the Clover Pom Pom Makers and yarn I had laying around – so this DIY is probably my cheapest yet! Here is the handy video tutorial too! 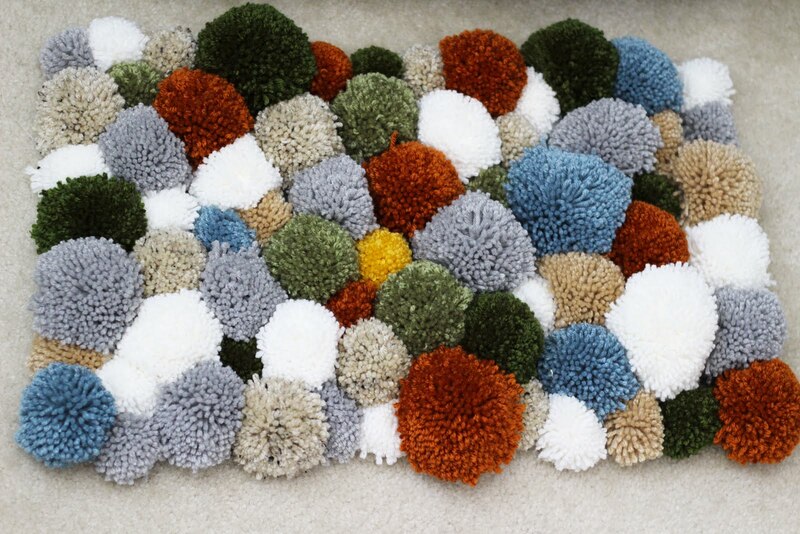 Hope you guys enjoy this project and make rugs of your very own!